Induction coil design has a major impact on your part quality, process efficiency, and manufacturing costs. 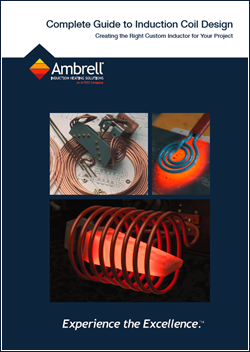 We have assembled this 28-page guide to help you get the best performance from your induction heating system. Below, we have collected excerpts from this important resource. This guide provides (almost) everything you need to design the optimal coil for your part and process. Request your copy and read about the science and the art of induction coil design.